Well, there hasn’t been much mistletoe or wine, truth be told, but there has been plenty fun and game. I find it rather hard to get my head around the fact that it’s the last week of 2011. Where exactly has this year gone?! Well, it’s the second last Pic of the Week, since I run these a week behind and all and it’s been a great week. 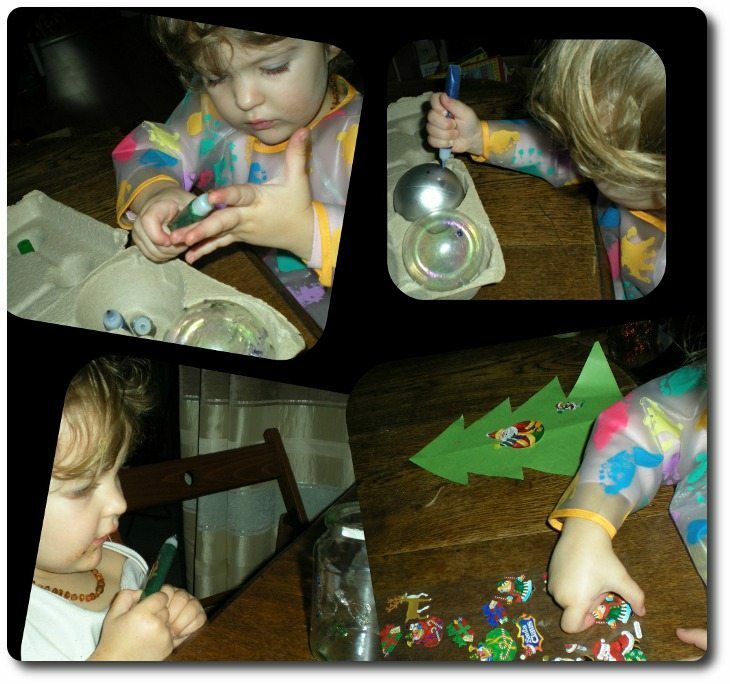 We’ve painted baubles, we’ve painted an empty jar that now houses chalk and crayon bits, and glued Christmassy stickers on Christmassy shapes. Thank you for joining us for our pic of the week! I love how much crafting you do with her! And the rolling and cutting of the biscuits…she looks like a pro!